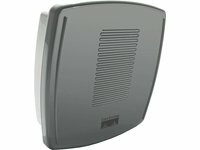 ExtendAir r5005 is a first-of-its-kind high-performance radio system designed to deliver guaranteed Ethernet throughput over long ranges. The ExtendAir r5005 radios are rugged, all-outdoor Ethernet bridges operating in the 5.4 GHz and 5.8 GHz license-exempt bands and delivering a best-in class 162 Mbps of aggregate throughput. The ExtendAir r5005 is designed to meet the business-critical performance and flexibility requirements of enterprises, government organizations and service providers. Power Over Ethernet (PoE) Power Injector sold separately. 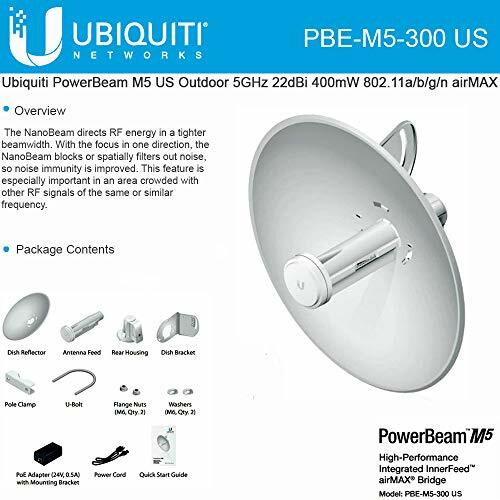 Model: PBE-M5-300-US PowerBeam M5 High-Performance airMAX Bridge Incorporating a dish reflector design witth advanced technology, the PowerBeam is the latest generation airMAX CPE for customer locations. The PBE-M5-300 US is an airMAX PowerBeam M5 CPE. 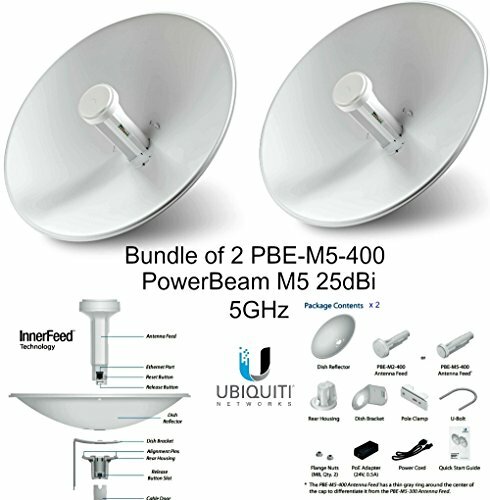 Designed for long distance links, this 5GHz 22dBi CPE uses InnerFeed technology for a smaller form factor.The new PowerBeam M has a compact, all-in-one design with uniform beam width, efficient footprint and a faster processor. 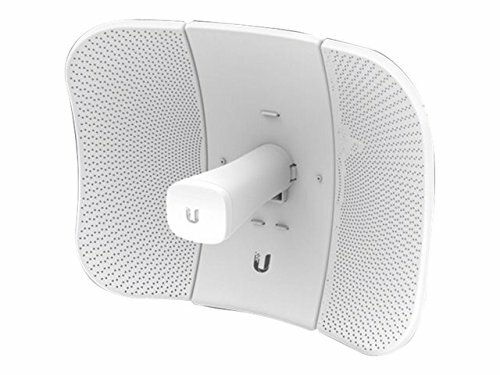 The PowerBeam can be easily mounted in a variety of ways thanks to the innovative mechanical design. 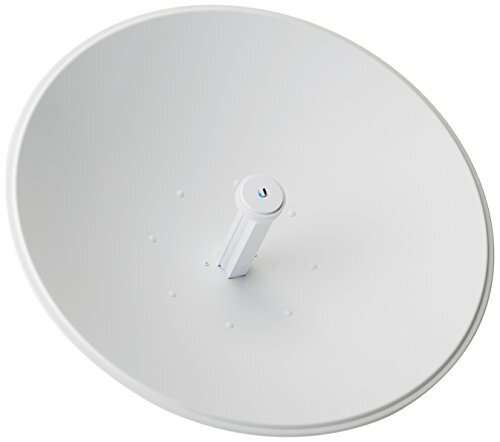 Designed for sustainability, the Cisco Aironet 1040 Series offers 802.11n performance with standard 802.3af Power over Ethernet (PoE). 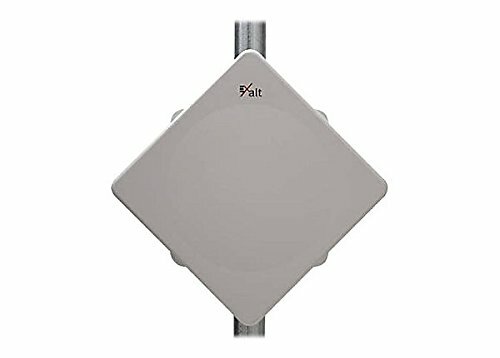 At only 12.95 watts of power, the 1040 Series combines the power of dual-radio 802.11n with the efficiency of standard PoE. The sleek industrial design of the 1040 Series blends seamlessly into any indoor enterprise environment. 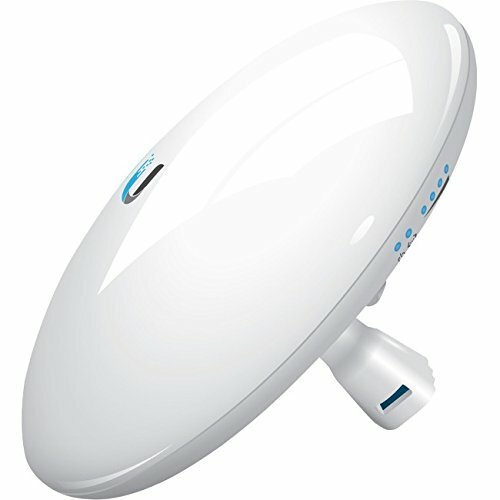 Model: NBM900 airMAX NanoBridge M Featuring a dish reflector design and dual-polarity performance, the NanoBridge M is Ubiquiti Networks' pioneering all-in-one design for an airMAX CPE. The NanoBridge M900 adds more power and boost to your 900MHz system. The product can be used as a CPE or when paired, makes a perfect Bridge/PtP solution. 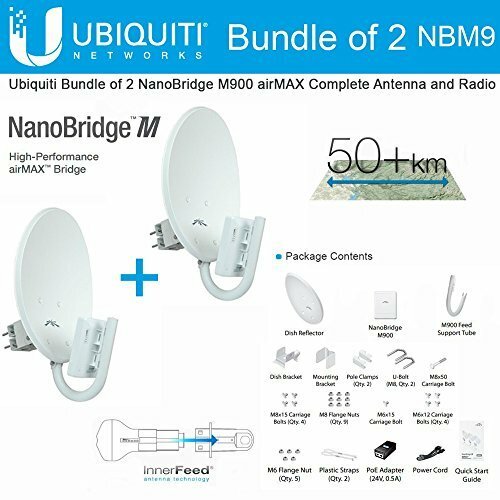 The NanoBridge M9 adds more power and boost to your 900MHz system; The product can be used as a CPE or when paired, makes a perfect Bridge/PtP solution. 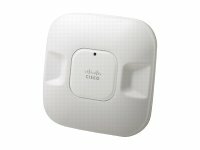 Shopping Results for "Wireless Bridge Air"